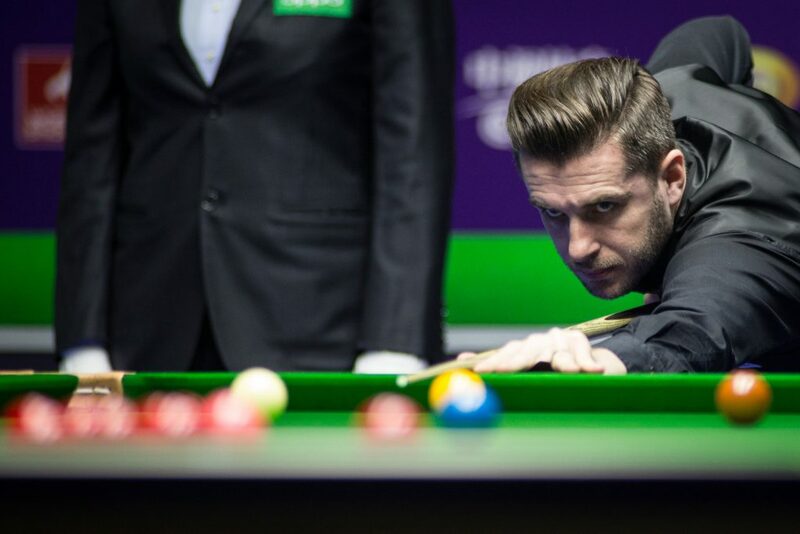 Defending champion Mark Selby overcame Mark Williams in a tremendous clash to seal his place in the last eight of the Oppo International Championship with a 6-4 victory. The pair last met in this year’s China Open final, where Selby lifted the title with a 10-8 win. Prior to this evening’s meeting they were locked together at 14-14 in their overall head-to-head record. The match came to life following the mid-session with the score at 2-2. Selby fired in a fine century run of 129 to claim the lead. Williams then looked to be having difficulties with his tip, which he had replaced prior to his last 32 tie. However, there didn’t seem to be any immediate impact on his performance as the Welshman clocked up contributions of 101 and 80 move 4-3 in front. From there the World Champion took charge. He reeled off the last three frames with runs of 73, 73 and 67 to come through with the victory. He will now face Robbie Williams in the last eight. Selby said: “Mark is a great player. One of the best the sport has had. He is just starting to play well again which is good to see. We always seem to bring the best out of each other and it showed again today. World number 63 Williams recorded a stunning 6-2 win over Robertson, to reach a ranking quarter-final for only the second time in his career. The 30-year-old, who has been on tour for six years, admitted that the victory was his best ever result. His only other visit to the last eight was at the 2013 Indian Open, where he went on a run to the semi-finals. Defeat for Robertson leaves him still searching for a first ranking title since the 2016 Riga Masters. The Australian still requires some strong performances to secure his place in the Masters in January. He currently sits in 17th spot in the race to Alexandra Palace. 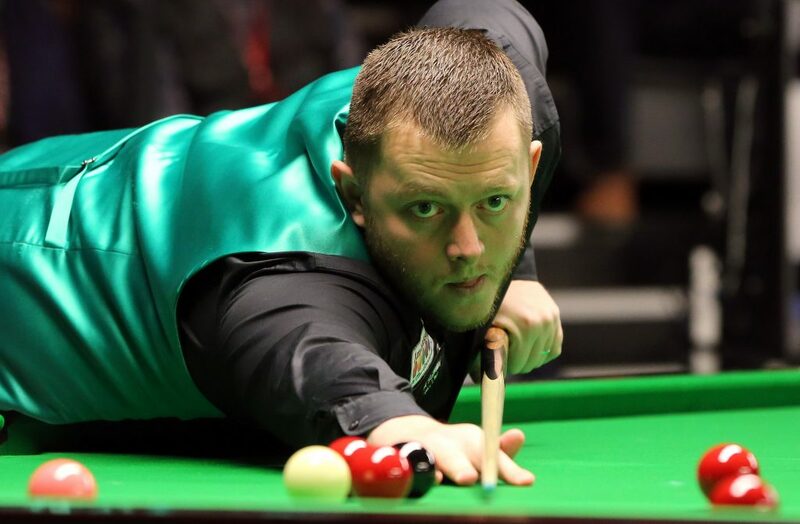 Mark Allen battled back to defeat Martin O’Donnell, who narrowly missed out on the biggest win of his career by a 6-5 scoreline. O’Donnell dropped off tour last season, but re-qualified immediately due to his performances at Q School. He looked to be in superb touch today as he compiled three century runs of 100, 109 and 108 as the match went to a decider. Allen also made breaks of 131 and 114, while taking a hard fought final frame to earn his place in the quarter-finals where he will face a repeat of the 2011 UK final against Judd Trump. Trump booked his place in the quarter-finals after defeating Liang Wenbo 6-3 in a repeat of the 2016 English Open final. John Higgins and Yan Bingtao set up a last eight clash with victories today. Higgins eased to a 6-1 win over Mark Joyce. While Yan came through 6-4 against an in form Jack Lisowski. Ali Carter will face Martin Gould in the quarters. Carter put on a terrific display to beat 2005 World Champion Shaun Murphy 6-2. Gould held off a fightback from Robert Milkins to win 6-4 after leading 4-0.